I didn’t grow up in the age of the internet and I’ve never quite managed to shrug off the fear that I’m bragging when I post about a new publication. However, this one’s different. Keith Dando (the illustrator) and I had such a wonderful time putting this children’s picture book together that every time I think about it, it makes me smile. Gone is the usual worry that I might be wasting your time because “A Visit from the Easter Bunny” was a joy to write and it’s a joy to tell you about. It came out of nowhere and was one of those stories which felt as though it was writing itself. The pictures, which are largely Keith’s work, are a glorious mixture of fairytale and comic book artwork, and you can see his love of film coming out in the overall style. 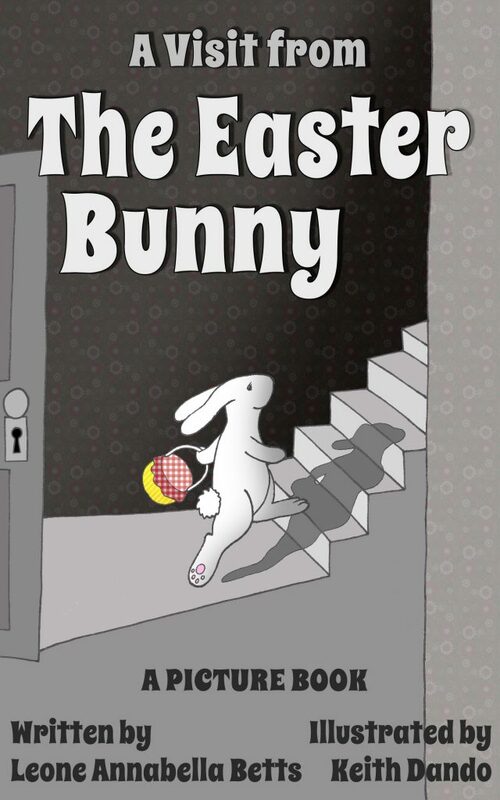 The story tells the tale of the Easter Bunny’s visit to a house on the night before Easter. It reminds me of my own magical childhood, gives me that “can’t wait” feeling about Easter and makes me want to eat a chocolate egg. In short, we created this book for the love of it. We never thought about sales or the cost in time or whether it was helpful to our careers. We just thought about Easter… and its marvellous and mysterious rabbit. I don’t know if you’ll enjoy this book but I hope so. If you do, you’re probably a bit like me. Thanks for popping by and have a very happy Easter. Next Next post: Why Write for Children?